Nick Drake's story is a short and tragic one. In his 26 years he managed to produce three classic records, but a feeling of dissatisfaction permeated his work. An introvert, Drake fought depression for years, which was felt in certain parts of his music. Sadly, he took his own life before he could write his fourth record. While not truly appreciated in his own time, many artists have since described Drake's music as a great influence. His first two records were bolder with more instruments playing a more complex sound. However, his final and most celebrated record, Pink Moon, was a simple acoustic folk album. Simple should be taken lightly here, as Drake managed to milk out some rather complex and intriguing songs from just his voice and guitar. More prominent is the melancholy tone not featured strongly on his early work. It is an intimate album, and one which the listener can truly feel the artist. It is a tragedy that the young man never followed up his magnum opus. Forty years later, Drake's work has become greatly appreciated. Reviewers and music lovers alike rate him very highly, and applaud his brilliant musicianship. 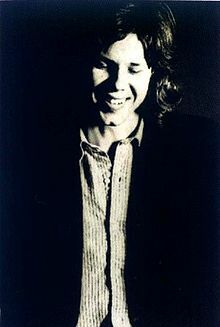 Nick Drake is a musical icon who simply never became appreciated in his time, and that is the true tragedy.